We’d love your help. 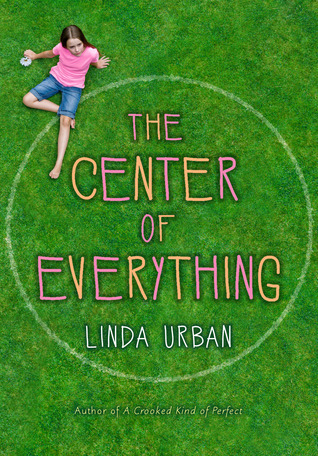 Let us know what’s wrong with this preview of The Center of Everything by Linda Urban. To ask other readers questions about The Center of Everything, please sign up. There are two schools of thought about the secrecy of wishes. One is that you should always tell, because you never know who might be able to help you get what you wished for. People who believe this often appear on talk shows. Share your dreams with the Universe, they say. The other school holds the birthday candle philosophy: to tell a wish is to ruin its chances of happening. This book is excellent. And it sounds rather boring. I love when I dread reading a book and then it blows me out of the There are two schools of thought about the secrecy of wishes. One is that you should always tell, because you never know who might be able to help you get what you wished for. People who believe this often appear on talk shows. Share your dreams with the Universe, they say. This book is excellent. And it sounds rather boring. I love when I dread reading a book and then it blows me out of the water. I did not want to do anything but read this book. I did not want to take any breaks. And that means a lot. This book is about a lot of things: doughnuts, grief, boys, friendship and wishing. But mostly it's about a 12-year-old girl named Ruby Pepperdine. She is the winner of the annual essay contest about the town founder who invented doughnuts. She is deeply sad about the recent death of her beloved grandmother, Gigi. She is intellectually stimulated by a boy with a nice smile named Nero. And she knows that the wish she made on her birthday is coming true. I liked the way this book explored a lot of topics, but never came across as heavy-handed or preachy. Nor was it a "sad book" even though it dealt with someone you love dying. Urban does a great description of the depression that comes from grief. After Gigi dies, everything slowly goes back to normal. But not for Ruby. She still doesn't feel normal. By then everybody else was back to normal. By then, Ruby figured out, you were not supposed to be so sad. That's what it felt like, at least. Every action, every movement, took twice as much effort, as if it were happening in slow motion. Voices sounded further away, and it took such work to make herself heard that Ruby stayed quiet. This is such a great description. In her years as a Bunning Elementary student, Ruby has been asked whether or not she liked a particular book seventy-four times, although she could not tell you this number exactly. What she could tell you is that if you said you liked this part or that part, people would fill in the rest. If they liked the book, they would think you did too. And if they didn't, that you didn't either, and they'd think the one part you mentioned was the ONLY part you liked. Most of the time, Ruby figured, people just wanted you to agree with them. And so most of the time she found a way to do so. The only person she feels comfortable telling her true book feelings to is Nero DeNiro, an inquisitive boy from her class who always calls her Ruby Tuesday. And since this is a book about 12-year-olds, of course we have some friendship drama between Ruby and her bff Lucy. "I tell you EVERYTHING and you didn't tell ME anything!" Ruby's stomach hurts remembering what she had said back. "Mind like water." "This is not a stupid pebble, Ruby Pepperdine! This is a meteor! You have hurled an enormous METEOR into the lake of our friendship. You've caused a tsunami!" Lucy had balled her fists and dashed away, and Ruby was left bobbing stupidly in her wake. "Also," says Nero, "how come nobody gets named Callimachus anymore?" Ruby can't help laughing. "Would you want to be named Callimachus?" "I don't want to be named Nero," says Nero. "That's the trouble with names. You don't get to decide your own. Somebody else picks them." Ruby likes her name. She is Ruby Giselle Pepperdine. The Ruby part has pep and the Giselle has elegance. When she goes to college, she thinks, she might ask people to call her Giselle. Until then, she's fine with Ruby. "Maybe superheroes," says Nero. "Maybe superheroes get to choose their own names. And villains. I mean, what parent is going to name his kid the Green Goblin?" "They named him Norman," says Ruby, who saw a lot of superhero movies during Uncle Dave's shifts watching Gigi. Nero grins. "I never know what to expect from you, Ruby Tuesday." Is he joking? She and Nero aren't friends or anything, but they have been in class together for three years in a row. Everyone knows what to expect from her. That's why people always pick her to bring notes to the office or to help take care of little kids. They expect her to do what she's supposed to do. Everybody says so. Her parents. All her teachers. Lucy. "Are you making fun of me?" Ruby asks. "Blue color-wheel paper. Essay Girl. Norman Goblin. All unexpected," Nero says. "I was giving you a compliment. Now you say thank you." He IS making fun of me, Ruby thinks, and she gives him a raspberry, which makes him laugh. "See what I mean?" Aw, there's so much cuteness in here. If you're a parent, don't get excited - the most these kids do is hold hands. And I love that Ruby is the kind of girl who doesn't say 'thank you' when someone orders her to say 'thank you,' and I love that she is kind of quiet and calculating. The names in this town (speaking of names) are rather crazy. I noticed Titus, Carter-Ann, Serendipity, Chance, Effie, Talia... etc. etc. This lends a rather other-worldly feel to the book that I liked. I mean, this was nowhere near the levels of weirdness of A Snicker of Magic, instead it was just a sprinkling. I liked it. Tl;dr - A stunning children's book, equal parts thoughtful and funny. It took me by surprise. I recommend this. There are only two things I require from life: Donuts and good books. Obviously that statement is false, but it sure sounds good. I like donuts. I like good books. And a good book that involves donuts? Cosmic all-encompassing donuts that aren't afraid to ask the big questions? Even better! Now I've followed the career of Linda Urban over the years and the simple fact of the matter is that with each of her books she gets better. Her latest, The Center of Everything follows its predecessors Hound There are only two things I require from life: Donuts and good books. Obviously that statement is false, but it sure sounds good. I like donuts. I like good books. And a good book that involves donuts? Cosmic all-encompassing donuts that aren't afraid to ask the big questions? Even better! Now I've followed the career of Linda Urban over the years and the simple fact of the matter is that with each of her books she gets better. Her latest, The Center of Everything follows its predecessors Hound Dog True and A Crooked Kind of Perfect into the familiar realm of quiet thoughtful fiction. A literary work of middle grade to its core, I'm not going to tell you that every kid that reads this book is going to love it, because it simply isn't true. This is a book for the thinkers and the dreamers. Philosophical kiddos. Smarter than the average bear, Urban's put her neck out there and written something big in a small package. Everything hinges on Ruby getting this right. Today, after all, is Bunning Day, the most important day in Bunning, New Hampshire. It's the day she'll get up and read her award winning essay in front of everybody. And in that moment she'll be able to make everything right with her best friend Lucy and her new friend Nero. They'll forgive her. And that wish she made on her birthday, the one that is destined to come true . . . well, that's a given, isn't it? Trouble is, even the best laid plans of mice and men sometimes go horribly awry. It's Bunning Day. Ruby has her notecards in her hands. The parade has begun. Something is going to happen. Some books are told in the course of a single baseball game (Six Innings). Some in a single day (33 Minutes). This book takes place in the course of a single parade route. It's a trope that requires a fair amount of potentially confusing flashbacks, which, with any other writer, might be a bit of a problem. But since small town parades are their own little universes in and of themselves, it turns out that Ms. Urban has a lot to work with. In fact, I found that this particular point of view was utterly unique. Perspective, you see, is a very big part of The Center of Everything. I've rarely seen a book for kids so willing to switch focus without giving even a hint of whiplash in the process. Much of the book is written entirely in the present tense. Well, not entirely exactly. There is the occasional moment when the book leaps into present tense second-person (which is a trick in and of itself). The reason for this switch becomes apparent when you realize that for much of it Ruby is talking to herself. Thanks to her grief, Ruby suffers a kind of self-imposed disconnect from the world around her. She often equates this with being underwater. "Every action, every movement, took twice as much effort, as if it were happening in slow motion." The moment of release comes when she laughs for the first time since her grandmother's death. "Ruby laughs a real out-loud laugh, which is something you can't do underwater. It requires real oxygen to laugh." Then there's the aforementioned fact that parts of the book allow the minor characters in the parade to strut and fret their page or paragraph upon the stage, and then are heard no more. These glimpses into other people's brains serves to distinguish the novel from one of those books filled with quirky small town characters. Small town these people are. Quirky? I'd say no. And in seeing them we give Ruby context outside of herself. We don't have to spend the whole novel inside of her brain. There's great good to be said of that. Is there a term for much of what Urban is doing here? I almost want to call it kid-logic, but if I'm going to be honest that's not quite right. Instead it's this tricky combination of children's intelligent observations coupled with superstitions, signs, and urban legends. These observations include things like Ruby's technique for not getting called on in class. "In third grade she figured out that if you put your hand up in class when everyone else did, you probably wouldn't get called on, but you also probably wouldn't get called on when nobody put their hand up either. Teachers mostly picked the kids who never put their hands up . . . " After that the author has managed to tap into the logical thought process of a kid dealing with illogical emotions, then translating them into kind untruths for the sake of the adults around her. How do you do that as an author? Then there are the urban legends. To my mind, urban legends that originate with children and as close as kids come to creating their own original religions. In fact without mentioning religion in any way, Ruby is trying to give a sense of order to the world, and the way she does that is through legend and superstition. Her moment of clarity comes when everything starts tumbling about her ears. "What if there is no supposed to? What if there is no one way things are meant to be? What if it all is just random and spinny and wild?" We all grapple with these questions sooner or later. This book just gives a nudge in the direction of "sooner". The biggest criticism the book has to face at this point in time is the pace. When you pick up a Linda Urban book, you are not going to encounter a car chase or an exploding helicopter or much outside of a human's head. There's a lot of internalizing in a Linda Urban book. That's what drives some folks nutso. Of this book I've encountered at least two librarians who found the pace too slow for their liking. One even suggested that perhaps the narrative leap to other characters involved in the parade could have been removed to keep the book shorter. This of a 208-page title. So we can pretty much say with certainty that you shouldn't hand this book to a reluctant reader or a kid who needs a death-a-minute to keep their eyeballs glued tight. This is a book for a good reader who can appreciate some fairly fine writing. Literary children's books are the ones unafraid to take it slow. In this particular case, slow and sad (but not depressing, which is a fine line to walk). They are not to everyone's taste. Yet it's no crime to write a book for kids that asks the big questions. Ruby never turns to the reader and says "Is there a God?" or "Why are we here?" but the questions and theories she does devise are part of the greater whole. Framed in a single day between realistic kids and near absent adults, Urban successfully pulls everything together. What a kid gets out of this depends on how much they're willing to put into it. More thoughtful than most, this one's a keeper. A book for children with an inclination to think. I’ve read and loved all of Linda’s books. I think The Center of Everything is her best one yet. Right away, when we meet main character Ruby Pepperdine, we know that the stars are not quite aligned in her universe. Something has knocked things out of orbit, and Ruby is unsettled as she waits for the Bunning Day parade to pass by so that she can do the job she has to do, the thing she believes will make her wish come true and put everything right. It’s a little later, bit by bit, that we begin to u I’ve read and loved all of Linda’s books. I think The Center of Everything is her best one yet. It’s a little later, bit by bit, that we begin to understand that Ruby is grieving the loss of someone she always considered to be the center of her universe. Add to that the challenges of changing middle school friendships, a new friend who’s a boy, and a very old town superstition involving a sea captain, a quarter, a birthday, and a donut, and you have a magical book indeed. It’s not literal magic. There’s no time travel, even though the narration does take us smoothly and seamlessly back and forth from present times to what happened a while ago. Behind the banner is the rest of the flag squad: six girls in matching sleeveless sweaters and pleated skirts. In November they will wear those sweaters over turtlenecks and wave their flags at football games and wish that they were warmer, but now, in the late-June heat, the girls have lobster-red faces and each is using her own favorite curse word to swear she will never try out for flag again. Next year, thinks their captain, Talia O’Hare, I am joining the show choir instead. The car with Uncle David and the town manager is followed by Grannies for Groceries, who have joined the Soup’s On Food Co-op in their shopping cart brigage. The third cart on the left is being pushed by Mitzie Oliver, who is wondering why it is – even in a parade – that she always chooses a cart with a back wheel that won’t turn. I am totally in love with this slice of life that marches past in The Center of Everything. I want to go to this parade and know these people, and in a way, I feel like I already do, thanks to that omniscient point of view that let me spend a few moments with each of them, seeing how they’re all connected. But the story always comes back to Ruby. It’s her story, after all, and her moment is coming. She has to get it right so things can be the way they’re “supposed to” be. Ruby is very good at doing what she’s supposed to do, and if you are like that or you have a kid like that, you know exactly what I mean. But what happens when you look back on a moment – an important one – and don’t know what you were supposed to have done? What if there is no “supposed to?” That idea rocks Ruby’s universe – even as the time comes for her to do the thing she is supposed to do, the thing she’s been waiting for while nearly the whole parade passed by. This is a perfect mentor text for students to use when they’re playing around with different points of view. After sharing some of the parade perspectives aloud, students could write their own short descriptions of an even that’s experienced by many people (a parade, a football game, a wedding) in that omniscient point of view, providing numerous views of the events from all different views. CCSS.ELA-Literacy.RL.4.6 Compare and contrast the point of view from which different stories are narrated, including the difference between first- and third-person narrations. CCSS.ELA-Literacy.RL.5.6 Describe how a narrator’s or speaker’s point of view influences how events are described. But really…you probably shouldn’t even talk much about Common Core Standards while you’re reading The Center of Everything. It’s an exceptional book, and I would hate for you to get standardized testing germs all over it. Instead, you’ll want to read this one aloud because the language sings. You’ll want to read it for the voice, for the humor, and for the interconnected stories that fit like a perfect puzzle. You’ll want to read it for that made-of-awesome small-town New Hampshire parade. And you’ll want to read it for Ruby. Mostly for Ruby. She’s a girl you know, so your heart will ache for her and celebrate with her, and when you turn the last page, you just might understand where to find the center of everything, too. I just didn't "get" this novel and I'm not sure my students will either. It wasn't just the Astronomy & Math which I found too obscure. I found the whole premise shaky from the start and the anti-climactic ending was the last straw for me. I just don't think my students will identify with the novel. I know many of my colleagues adore her writing, so I will definitely read her two previous novels ASAP. No one writes characters like Linda Urban. She understands that even kids have lots to think and worry about in their lives. Over the past six years, my husband, daughter and I have spent many a summer evening stargazing. In May, when the evenings are just warm enough to sit out, we always seek out the summer triangle. Vega, Altair and Deneb will be tilted just slightly east, and by July they will be right above our heads. From My Backyard, Planet Earth, Deneb appears to be the faintest of these three very bright stars, but appearances can be deceiving. Vega, the sparkliest, is roughly 26 light-years away. The light w Over the past six years, my husband, daughter and I have spent many a summer evening stargazing. In May, when the evenings are just warm enough to sit out, we always seek out the summer triangle. Vega, Altair and Deneb will be tilted just slightly east, and by July they will be right above our heads. From My Backyard, Planet Earth, Deneb appears to be the faintest of these three very bright stars, but appearances can be deceiving. Vega, the sparkliest, is roughly 26 light-years away. The light we see from Altair is from 1995, the same year my husband and I started dating. But Deneb is an amazing 1,500 light-years away. Although it doesn’t seem as twinkly as the other two, in reality, it outshines both. Every year my husband will make this observation, and every year I will be awestruck because I’ve forgotten it from the year before (well, maybe I’ll remember it this year since I’m writing about it now). The moral of the story never fails to impress me. A star may seem pale until you know all the facts, and then it becomes luminous. At first glance, Ruby Pepperdine seems pretty dull, too. She doesn’t stand out in a crowd like her theatrical, high-maintenance best friend, Lucy. She isn’t quirky like Nero DiNero, who draws attention with his curiosity and questions (the boy has a mind like a revolving door). Ruby is predictable. She is reliable. Her family owns a car dealership, for goodness sake. But like any classic introvert, there is a lot spinning around inside her that no one knows about. Or, at least they won’t until she’s chosen to read her winning essay in the Bunning Day parade. Lucy has a something in her she needs to sort out, and until she does, her Universe is slightly out of orbit. When I was about halfway through The Center of Everything, I tweeted, "Reading The Center of Everything and wondering: if it won the Newbery, would it be the first Newbery winner that name checks the Newbery?" Leaving aside the issue of the Newbery name-check, what the hell am I doing wondering whether my very first 2013 read will win the Newbery? What am I comparing it to? Nothing. The rest of this publishing year is a black box. Could be filled with When You Reach Mes; could be filled with Smo When I was about halfway through The Center of Everything, I tweeted, "Reading The Center of Everything and wondering: if it won the Newbery, would it be the first Newbery winner that name checks the Newbery?" Leaving aside the issue of the Newbery name-check, what the hell am I doing wondering whether my very first 2013 read will win the Newbery? What am I comparing it to? Nothing. The rest of this publishing year is a black box. Could be filled with When You Reach Mes; could be filled with Smokey the Cowhorses. It makes these first reviews kind of difficult to write. I assume that's why the Newbery Committee doesn't start nominating until late in the year, and why Heavy Medal goes on hiatus until the fall. How do you know if a book is distinguished if you don't know what field of contenders it is distinguishing itself from? Since we here at About to Mock are intrepid/stupid year-round bloggers, we just have to assume that the publishing year black box is Schrodinger's box - that it is chock full of both superstars and duds - and evaluate the books we read accordingly. Given those hypotheticals, do I consider The Center of Everything is a genuine contender? Why, yes I do. The Center of Everything is, in the most basic sense, another dead grandparent book. Ruby's beloved grandmother Gigi has died, and Ruby is having a hard time getting over it. Gigi was the kind of woman whose strength holds the whole town together, and nothing seems the same without her. But Ruby is convinced that when she reads her prizewinning essay at the town's annual parade, it will fix everything - including her broken friendships. She's just not sure how. The plot of The Center of Everything unfolds in concentric circles, switching back and forth between the day of the parade and the events leading up to it, and gradually filling in crucial details. Thematically, Linda Urban is preoccupied with circles (well, really tori, or donut shapes) as well. These manifest both symbolically - the emotional ripples of any given event, social circles of inclusion and exclusion - and literally. The town is obsessed with donuts, and Ruby, in attempting to bring about her wish, fixates on the physics of tori and begins to see them everywhere. This is a meticulously and elegantly plotted book. If the plotting and structure are painstaking, however, the characters feel deceptively effortless. Ruby and her friends talk and act like real kids. They're interested in things like physics, astronomy, and acting, but they are limited by a typical 12-year-old's abilities. Other characters are introduced very briefly as well, such as the woman who plans the parade each year, and the new middle school librarian tasked with introducing Ruby's speech. Urban takes a risk in shifting the entire narrative point-of-view to these characters, but I think it's an effective gamble that ultimately serves the theme. Readers understand long before Ruby does just how everything is coming together. Or at least they will on a second read. And whatever else happens, this book merits a second read. One of my favorite starts to a book is Linda Urban's, "A Crooked Kind of Perfect," with the protagonist complaining about having to play a wheeze-bag organ versus the elegant piano. Here comes another hilarious start, but with a Captain fighting to keep his boat afloat in a terrible gale by eating donuts spiked on the spokes of his ship's wheel; thus, inventing the donut hole. Urban has a whole or hole lotta fun with wordplays and slang. "The Hole Shebang" is my favorite. The 1960s "Gilligan's I One of my favorite starts to a book is Linda Urban's, "A Crooked Kind of Perfect," with the protagonist complaining about having to play a wheeze-bag organ versus the elegant piano. Here comes another hilarious start, but with a Captain fighting to keep his boat afloat in a terrible gale by eating donuts spiked on the spokes of his ship's wheel; thus, inventing the donut hole. Urban has a whole or hole lotta fun with wordplays and slang. "The Hole Shebang" is my favorite. The 1960s "Gilligan's Island" TV show's theme song started pinging around my brain during these silly parts. "Just sit right back and you'll hear a tale, a tale of a fateful trip.That started from this tropic port, aboard this tiny ship. The mate was a mighty sailin' man, the Skipper brave and sure. Five passengers set sail that day for a three hour tour. A three hour tour." It didn't help that the book took me three hours to read. Ping. Ping. Here comes my theme song. Or Poke. Poke, as Ruby Pepperdine would say. Her grandma has just died and she is trying to squash her emotions, except they "poke" her in unexpected ways. When Ruby wins an essay that she has written on Captain Donut she gets to read it at the annual Bunning Day festival. Things fall apart leading up to the special day when her best friend gets angry over her sharing a secret wish with a boy in her class. Urban plops her trademark quirky characters that are lovable, memorable and odd. Lucy is the drama queen who tells Ruby she has thrown a meteor into their lake of friendship causing a tsunami. She is the yin to Ruby's yang and their chemistry bubbles with fun. Nero is a different story. At first, Nero sounds too witty and old to me but he's funny so I don't particularly care. "Once a person kazoos in the lunchroom, she's lost her right to privacy," Nero says. "It's the fate of all celebrities." Urban develops him more in the proceeding chapters and shows he is thinker to the point he exasperates his teachers. Hence, when Nero points out characteristics in Ruby later in the story, I have bought into his character, and believe in it. Make no mistake, Captain Urban knows exactly what she is doing with this crew of characters. The plot is solid and not too complex. The main character deals with friendships and grief with a slow buildup in the beginning. Quite a bit of the text involves interior monologue and not much action. Patient readers will be rewarded by the end as Urban brings it all together. Ruby has a "wish" and the reader doesn't know what it is. Urban uses this to bring tension in chapters, specifically six chapters in the first part of the book and it slowed the pacing too much for me even though the chapters were short. You'll have to decide for yourself. Grab your copy and drop anchor. "You're sure to get a smile..." Ping. Ping. The center of everything for twelve-year-old Ruby Pepperdine is her beloved grandmother Gigi. Gigi seems to know everything and Ruby is her star pupil, listening to Gigi explain about orbits and rotations and black holes and the cosmos. On Saturday nights, Gigi and Ruby climb the stairs to the roof of Pepperdine Motors and look at the stars together. Suddenly and unexpectedly, Gigi is gone and along with mourning her loss, Ruby is racked with guilt that she failed to listen to what Gigi was tryi The center of everything for twelve-year-old Ruby Pepperdine is her beloved grandmother Gigi. Gigi seems to know everything and Ruby is her star pupil, listening to Gigi explain about orbits and rotations and black holes and the cosmos. On Saturday nights, Gigi and Ruby climb the stairs to the roof of Pepperdine Motors and look at the stars together. Suddenly and unexpectedly, Gigi is gone and along with mourning her loss, Ruby is racked with guilt that she failed to listen to what Gigi was trying to tell her on her last days in the hospital. She is looking for a second chance; a way to go back in time and change things. Ruby believes in fate and luck and wishes that come true so she thinks that being selected essay girl in the Bunting Day Parade will help her do just that. 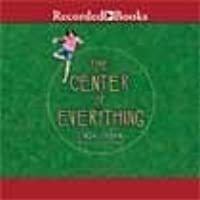 The Center of Everything has gotten great reviews, but I found it to be a quiet introspective book, much like the main character Ruby Pepperdine. There is very little action and the pacing of the book is excruciatingly slow. Urban carefully plants subtle clues in the text that are supposed to pique our curiosity and move the story along, but that just did not work for me. Several times, I put the book down because it just did not hold my attention, and I think this will be the case for many other readers as well. Ruby Pepperdine's story takes place in just a small window of time – one day. She is waiting to read her prize-winning essay at the Bunning Day Parade, all the while thinking back to the different events that led her to this time. This switching back and forth in time is supposed to make things more interesting, but I thought it made the story more difficult to follow. There is no doubt that Urban is a talented writer. She has a real understanding of how kids think and feel and Ruby’s crying scene in art class when the protective layer covering her grief is “poked” unexpectedly by Nero’s color wheel is exquisitely written. Urban also does a nice job with character development. Ruby’s best friend Lucy is her complete opposite, and I thought that their scenes and dialogue added interest to the book. At only 194 pages double-spaced, The Center of Everything should be a quick read, but the pacing, lack of action and switching back and forth in time will could lose readers who don’t want to stick with it until the end. The cover is also boring. No real incentive to pick up the book and start reading. There are no bad situations or language in this book, although the fact that Lucy has “two “dads is never explained. Girls will relate to this book more than boys. The Center of Everything is a short book, but oh, it is really beautiful. Set in one day - the day of the big parade, the day that the whole town comes together - it's told in a series of short vignettes, from a variety of viewpoints, that all circle around and back to eleven-year-old Ruby Pepperdine...and oh, wow, do I love Ruby. Ruby has always been the girl who works hard to do everything right - the quiet girl, the helpful girl, the girl who never causes any trouble. But she is tortured right The Center of Everything is a short book, but oh, it is really beautiful. Set in one day - the day of the big parade, the day that the whole town comes together - it's told in a series of short vignettes, from a variety of viewpoints, that all circle around and back to eleven-year-old Ruby Pepperdine...and oh, wow, do I love Ruby. Ruby has always been the girl who works hard to do everything right - the quiet girl, the helpful girl, the girl who never causes any trouble. But she is tortured right now with the absolute certainty that she did one crucial thing terribly wrong with the person who meant most to her...and maybe, just possibly, today might be the day that she can finally fix it. This is a book about the aftermath of loss, but what really makes it such an achievement is that it's wonderfully wry and funny at the same time that it's also heartfelt and real. It's honest in its depiction of grief without ever being depressing. Ruby is dealing with loss, and yes, it still hurts - part of her problem is that she feels like she should be over it by now, but she isn't - but overall, this is a really uplifting novel, full of love. It's sad and sweet and funny, too, and it has a perfect ending. Each new Linda Urban novel I read feels very different from the last, but every one of them has been wonderful. She's one of my favorite authors working in MG fiction right now. Ruby Pepperdine lives in the town of Bunning, and today is the town parade. Ruby has been going to the parade for years, but this year is different. For one, she is the “essay girl” which means that she gets to read her essay about Captain Bunning, the man who created their town and is also famous for putting a hole in donuts. Also, this year the parade is happening without Gigi, Ruby’s grandma who passed away. Ruby is a believer in destiny. Because of a series of events up to this day, she expects that her wish will come true before the day ends. However, maybe Ruby would be in a better mood if her friends Lucy and Nero weren’t mad at her. This book takes place throughout one day, although most of the story is told through flashbacks of the events leading up to now. I loved this book. Linda Urban writes beautifully and really captures the emotions of all her characters. This book has situations and emotions that are so easy to relate to, but there are also really quirky elements (donuts, wishes, time-travel…) that make the book incredibly interesting. I highly recommend this book, and I hope it gets the attention it deserves. Listen......I don't know how Linda Urban does it! Every time I read one of her books I fall in love with the characters! I literally wish her characters were real people so I could know them in real life. If you haven't read The Center of Everything, A Crooked Kind of Perfect or Hound Dog True. You are missing out! Lovely story about a girl named Ruby who has lost her grandmother and whose last words Ruby didn't really pay attention to. Now Ruby wants that time back so she can "listen" to what was said. So she makes a wish she hope will come true during the annual Bunning Day festivities when the whole town will hear her winning essay. Beautifully told and written and at the same time very relatable to a child. Sixth-grader Ruby is trying to figure it all out after she loses her grandmother, the center of her world. This perfectly paced and lovely story follows Ruby over the course of a day – a parade day in her small town – as she looks for answers. The author depicts complex emotions and concerns in a simple and beautiful way, and offers a hopeful ending without resorting to cliché. I read an advance reader copy of this book for middle readers; publication is March 2013. What a beautiful book. I'm adding this one to the Could be a Newbery winner stack, It has that kind of feel to it. The only bad part about it was that I was trying to finish it before my story times started this morning, and a parent came in to the library talk to me about something, and the caught me in the middle of a good cry. Kind of embarrassing. If you admire Urban's A Crooked Kind of Perfect or any book by Lynn Rae Perkins, you will like this book. I admire it's style and literary finesse, but I find the cleverness a bit infuriating. Originally posted at Random Musings of a Bibliophile. I am not one of the avid Linda Urban fans. I enjoyed A Crooked Kind of Perfect, but with reservations. Convenience and desire have not intertwined to allow me to read Hound Dog True yet. (I will be rectifying that soon.) I rather liked the idea of reading The Center of Everything from this viewpoint, and I was very impressed. This is an excellent novel in every way. The Center of Everything is told from an omniscient point of view. The narrator Originally posted at Random Musings of a Bibliophile. Ruby is a delightful character. One of those average-could-be-anyone-kids yet she has her own distinctive voice. Her friend Nero is my favorite though. I love how he questions the world and forces her to do the same. I love his enthusiasm for everything and his need to look beyond the status quo. Ruby's best friend, Lucy, is more of a stereotypical character and less developed but she serves her purpose as a perfect foil for both Ruby and Nero. My love for this book would be complete and unequivocal if it weren't for one thing. This is completely a personal thing and not a criticism of the writing or the author. The omniscient narration goes into everyone's heads and I mean everyone. Including the reader. There are times when the narration slips to second person inserting the reader into the story. This drives me crazy. I hate it when narrators talk to me or try to presume they know how I would feel or react. It makes me want to smack the narrator. I was thrown out of the rhythm of the story every time it happened. Other people are going to like this aspect. It just happens to be something that never works for me personally. Still. It is such a good book and one I highly recommend. The story unfolds as sixth grade student Ruby Pepperdine is contemplating her speech as the “essay girl” in the annual Bunning Day Parade in the New Hampshire town she lives in by the same name. Ruby’s essay was judged the best that year, yet Ruby knows deep down she wants to say something else when it’s her turn to read it. She fumbles with the notecards, drops them and they fall out of order. She is an old soul, her growth influenced as much by her grandmother, Gigi, as her parents. Sadly, Gig The story unfolds as sixth grade student Ruby Pepperdine is contemplating her speech as the “essay girl” in the annual Bunning Day Parade in the New Hampshire town she lives in by the same name. Ruby’s essay was judged the best that year, yet Ruby knows deep down she wants to say something else when it’s her turn to read it. She fumbles with the notecards, drops them and they fall out of order. She is an old soul, her growth influenced as much by her grandmother, Gigi, as her parents. Sadly, Gigi passes away and Ruby did not return to her side that morning before she left for school to “listen” as Gigi requested. This results in a deep regret and a tone of unfinished business surrounding Ruby. On Ruby’s birthday she successfully tosses a quarter through the hole of the donut being held by the statue of Captain Bunning in the town square. This should grant her a wish. The combined good luck of tossing the quarter and winning the essay contest should guarantee Ruby success at getting things in her life back in order. As she waits what seems like an eternity to read her speech, she reflects on her life and her relationships with her best friend Lucy, her parents, and her new “friend” – an intriguing, old soul boy named Nero. She is trying to move forward in her life without her grandmother although she feels the tug of Gigi’s memory hanging on to her. The book keeps leading us up to her essay; as it’s her turn to read it, she completely changes course and does not read what she wrote to win the essay. The day becomes her tribute to her grandmother and she finds that things within the town and in her own family really are already what they are supposed to be. I think one of the most fascinating things about this book is how the author slipped back and forth between the past and present so easily. She shows us how Ruby is feeling in the present and then slowly goes back and shows us how she got to that point. I did get confused once in a while flipping back and forth between the past and present but not enough to really detract from my enjoyment of the book. I also really liked the theme. There is much for the reader to ponder. Ruby wants her 'wish' to I think one of the most fascinating things about this book is how the author slipped back and forth between the past and present so easily. She shows us how Ruby is feeling in the present and then slowly goes back and shows us how she got to that point. I did get confused once in a while flipping back and forth between the past and present but not enough to really detract from my enjoyment of the book. I also really liked the theme. There is much for the reader to ponder. Ruby wants her 'wish' to come true so badly. I think most of us can relate to that. I know I have plenty of wishes myself. But I was surprised at what her wish really ended up being. I thought I knew what she wished for fairly early in the book, but it turns out I wasn't quite right. That was a nice twist. I could also easily relate to Ruby's desire to do what she's 'supposed to' and her confusion over what 'supposed to' really was. Her confusion leads to her problems with her friends and she's left really wanting to know if there really is such a thing as fate or destiny or if it all comes down to the choices we make. This is a great theme not only for kids but also for adults, very thoughtful. I found Ruby, Lucy, and Nero very sympathetic characters as each is very human with strengths and weaknesses. They felt very real. Lucy with her struggles to learn her lines for the play she is in is the dramatic, loud one, who feels very hurt when Ruby doesn't share her wish right away. Nero works with his father in a donut shop, but doesn't really want to, and loves to ask unusual questions, and he helps Ruby with some of her questions. And Ruby, hurting over the loss of her beloved grandmother, and confused as to how her family has been able to move on so easily. Ruby Giselle Pepperdine is living life as she is supposed to. She is good, she listens, and she has her grandmother, Gigi, to teach her about the curvy things in life. Ruby takes everything that she has for granted until her grandmother dies. Going through the world without her will be something that Ruby does not imagine. She cannot let go of her secret, that was between her and her grandmother. Now, as the Bunning Day parade is coming to a close, Ruby must conquer her fears and speak to the wh Ruby Giselle Pepperdine is living life as she is supposed to. She is good, she listens, and she has her grandmother, Gigi, to teach her about the curvy things in life. Ruby takes everything that she has for granted until her grandmother dies. Going through the world without her will be something that Ruby does not imagine. She cannot let go of her secret, that was between her and her grandmother. Now, as the Bunning Day parade is coming to a close, Ruby must conquer her fears and speak to the whole town. Will things come to a full circle and be as they are supposed to be? I thought this book was great and saw so many themes all at once. I love how the torus explains life, always changing, but in a way staying the same. I think that Ruby's experience throughout the book is the torus being homeomorphic and finally coming to a stop.This book also taught me the importance of the phrase "supposed to". It kept me thinking are things supposed to happen? Is there such a thing as fate? Or is it just something that we tell ourselves to give us answers? I would recommend this to anyone who wants to have a book they can think about. I really enjoyed the character development of Ruby, Lucy and Nero. Maybe every reader doesn't find a connection with Ruby, her family and a small town, but I certainly did. I like that Urban presents the dilemmas of childhood, though sometimes seemingly simplistic to an adult, as realistically sized in proportion to the child's own actual age-appropriate perception. Having said that, I also think this book is a reconceived junior-version of "Extremely Loud and Incredibly Close." Ruby loses her Gr I really enjoyed the character development of Ruby, Lucy and Nero. Maybe every reader doesn't find a connection with Ruby, her family and a small town, but I certainly did. I like that Urban presents the dilemmas of childhood, though sometimes seemingly simplistic to an adult, as realistically sized in proportion to the child's own actual age-appropriate perception. Having said that, I also think this book is a reconceived junior-version of "Extremely Loud and Incredibly Close." Ruby loses her Grandmother and is upset by the way things were left. Just like Oscar trying to deal with the death of his father, Ruby goes on a journey to make sense of it all. And in the end, all of the conclusions don't really make sense, but both Ruby and Oscar begin to heal. I really thought I'd written this one up a while ago, but apparently all the praise happened in my own head. This made me so sad, and then so happy, and so happy again at its sheer wonderfulness, and that's all I really need to say. I think I would have enjoyed this book more if the wording and metaphors actually made sense to me. Maybe it did to other people, but not me. This book was hard to read. Ruby Pepperdine lives in Bunning, New Hampshire, the supposed home of the donut. Each year, there is a Bunning Day parade to celebrate, and this year, Ruby is the one who will read her Bunning Day essay aloud. Ruby knows, just knows, that if she can make everything happen just right, she will get her wish. She will be able to fix what happened, and everything will go back to the way it's suppose to be. I loved the framing device and narrative style of this story. We start in the present, with Rub Ruby Pepperdine lives in Bunning, New Hampshire, the supposed home of the donut. Each year, there is a Bunning Day parade to celebrate, and this year, Ruby is the one who will read her Bunning Day essay aloud. Ruby knows, just knows, that if she can make everything happen just right, she will get her wish. She will be able to fix what happened, and everything will go back to the way it's suppose to be. I loved the framing device and narrative style of this story. We start in the present, with Ruby standing in the circle where she'll soon be reading her winning essay, doing everything she can to make her wish come true, looking for signs that it will. It's mixed with flashbacks that build the story and explain how Ruby got where she is and why she feels this wish is so important. But we also get inside the heads of characters that aren't really important to the story, but their actions are important in some way. These sections would often take place in second person, which isn't something you often see and I liked a lot. For instance, a chapter might begin, "If you were so and so, you might be thinking...." and then we'd get some character's perspective on something. The connection was something that character would do, which had nothing to do with Ruby or her wish, would inadvertently effect Ruby. So many things were connected, in some small way. Ruby is the kind of kid that often gets passed over. She's quiet. She does exactly what she's told to do, but no more. She does fine in school. She's reliable. When her beloved grandmother dies, Ruby doesn't exactly know how to handle her feelings of sadness and regret, and everyone else around her, her parents, her aunts and uncles, all seem to have gone back to the way they always were. Why is she the only one who feels like this? So Ruby shoves down the feeling and tries to be her reliable, helpful self. But it's getting harder. When she wins the essay contest, Ruby knows this is a sing that everything is going to come together and she will have a chance to do things over. Somehow. Ruby's best friend Lucy frustrated me. Lucy came off as pretty self focused. She, just like everyone else, was use to Ruby being good-old-reliable-Ruby who always does what she's told and is always there for everyone else. When Ruby isn't there to sit through every one of Lucy's play practices, Lucy gets angry. And she gets angry that Ruby hasn't been telling her things, but seriously, Ruby couldn't get a word in edgewise! It was great that Ruby was starting to be able to voice what she wanted and needed. She clearly cares about Lucy very much. Perhaps going forward their relationship won't be so one-sided. Ruby also makes a new friend, Nero, who she wouldn't have gotten to know if she wasn't trying so hard to figure out how her wish could work. Ruby doesn't really have any friends besides Lucy though, so she's not totally sure what to do with this possible new friendship. Especially since Lucy and Nero don't seem to like each other. This book has been compared favorably to books by Polly Horvath, (like "Everything on a Waffle"), as well as a number of other similar well known offerings. For me, I though of Kate DiCamillo's "Because of Winn-Dixie" when I started the book. They all have a sensitive young girl, a small town with a tightly knit community, and a personal loss as central features. It seemed to me, though, that this book was particularly distinguished by the number and variety of the elegant, subtle and touching observations, descriptions and insights sprinkled so generously throughout the story. Indeed, while I was not entirely taken by the book's plot, or by all of the characters, (a problem I also sometimes have with Horvath and DiCamillo), I was impressed and entertained by the author's skill, craft, generosity and good humor. This is a quietly ambitious novel that treats its readers with great respect, and that is a virtue not to be undervalued. A number of readers have noted that the flashbacks and the pacing of the novel may prove challenging to early middle grade readers, and I think that's fair. It's not hopeless or maddening or anything like that, but the book does require close reading and a certain amount of patience. Those are good skills to develop, and so it may be that what at first looks like a weakness might turn out to offer a fairly painless "teaching moment". But don't I sound hoity-toity? It's easier than that. This book is engaging and well written and populated by decent, loving, and realistic if slightly idealized characters. It addresses issues that matter to readers in a fashion designed to reach and touch those readers. How great is that? Please note that I received a free ecopy of this book in exchange for a candid review. Apart from that I have no connection at all to either the author or the publisher of this book. I only regret my reading of this was so sporadic, because I'm pretty sure I would have gotten even more out of it and given it a higher rating had I enjoyed it as a continuous experience instead of a series of spurts. Nearly the entire story takes place over the course of a single parade, after all. Ruby has won her town's annual essay contest and gets to read her winning entry as part of the festivities, and as she waits for her moment she reflects on everything that has led to it. Particularly, I only regret my reading of this was so sporadic, because I'm pretty sure I would have gotten even more out of it and given it a higher rating had I enjoyed it as a continuous experience instead of a series of spurts. Nearly the entire story takes place over the course of a single parade, after all. Ruby has won her town's annual essay contest and gets to read her winning entry as part of the festivities, and as she waits for her moment she reflects on everything that has led to it. Particularly, her bottled grief over her grandmother's death, her fight the day before with her two good friends, and her wish that she is sure will magically come true to make everything better. Ruby may appear nondescript and go (intentionally) unnoticed by most adults, but inside she is a mess of deep emotions, thoughts, worries, and questions. Just like its protagonist, this is a deeply thoughtful, quietly affecting book that feels entirely real and true. "Break's over," he says. "I have to be at Delish with my mom most days, but she lets me play Frisbee in the park or come here for an hour in the afternoon. She says she does not want me gallivanting around town." Ruby nods. "I guess I understand that." "You understand that? Ruby, I have never gallivanted. Have you gallivanted?" "I don't think I'm the gallivanting type," she says. "Nobody is. It's just a thing that moms say." Still unsure really, but probably 2.5 to 3 stars & that's b/c it's short and it did have some good parts & good idea behind it but there were many things I didn't care for & bored various times throughout. I'm a grammy's girl, as well as my daughter is the same with her gram/my mom & I could relate to the birthday donut, so I really wanted to love this, not so much but it did have some good points. This is labeled for middle school/teens & I took that into consideration too. Still unsure really, but probably 2.5 to 3 stars & that's b/c it's short and it did have some good parts & good idea behind it but there were many things I didn't care for & bored various times throughout. I'm a grammy's girl, as well as my daughter is the same with her gram/my mom & I could relate to the birthday donut, so I really wanted to love this, not so much but it did have some good points. This is labeled for middle school/teens & I took that into consideration too. However, I agree middle school students could read this, I think many wouldn't get some of the meaning behind it or would just be confused by. It jumped around a lot and at times seemed like mini stories, and flashbacks were difficult to get a feel for or didn't flow well--for a lack of better way to try to explain it. I like the idea of book to discuss death, embarrassing situations, making up with friends after a tiff or misunderstanding, etc. and even much of this story line was cute and all, but it just didn't come across executed well for me. If it had been a longer book along this same line, I would left it on the DNF shelf. This is a wonderful story that I give 5 out of 5 stars. However, it is not a story that everyone will enjoy, so I recommend it to 4th and 5th-graders who are looking for a thoughtful read. Twelve-year-old Ruby Pepperdine is trying to make sense of her world after the death of her grandmother, her beloved Gigi, who was her "center of everything." The story takes place throughout the course of a small town parade celebrating Captain Bunning, the inventor of the hole in the center of donuts. Told in This is a wonderful story that I give 5 out of 5 stars. However, it is not a story that everyone will enjoy, so I recommend it to 4th and 5th-graders who are looking for a thoughtful read. Twelve-year-old Ruby Pepperdine is trying to make sense of her world after the death of her grandmother, her beloved Gigi, who was her "center of everything." The story takes place throughout the course of a small town parade celebrating Captain Bunning, the inventor of the hole in the center of donuts. Told in flashbacks, this quiet story is made of small moments strung together, which challenges Ruby, and the reader to figure out the world, and our place and role in it. Ruby struggles a lot with the issue of what you are supposed to do and feel, and ends up with the thought, "What if there is no supposed to?" Linda Urban has created characters who are flawed, but so real and recognizable to readers. She accurately describes and makes real the feelings of confusion and pain as you try to move forward with your life following the death of someone close to you. The independent reading level is 5.1; interest level is grades 3-6. This was from the About Me section at Linda Urban's website. I was born in Detroit, Michigan, and raised in a suburban house that looked like all the others on my street. Sometimes I liked that sameness. It made me feel normal, when I worried I wasn’t. Other times, though, I wanted to be different — to shine, to have people see me as special. I tried ballet dancing and singing and playing musical in This was from the About Me section at Linda Urban's website. Other times, though, I wanted to be different — to shine, to have people see me as special. I tried ballet dancing and singing and playing musical instruments, but I wasn’t very good at any of those things. But writing stories was fun! And often people liked what I wrote. At Oakbrook Elementary, I wrote lots of poems and stories. One story, SUPERBOX, was about a crime-fighting shoe box. That story won me a prize. Even better? I got to read it out loud to my classmates, who laughed at the funny parts and cheered when Superbox fought off the evil potato chip can that was his mortal enemy. Nothing made me feel more special than hearing an audience cheer for a character I had written. So, I kept writing. All through elementary school and junior high I wrote short stories and plays and poems. But then I learned something. Not everyone will like every story you write. And sometimes, that will make you feel very bad. I remember once, I wrote a story about how I felt on Christmas Eve. I described my excitement, that tingling sensation I got anticipating the presents I knew would be under the tree the next morning. A boy in my class thought one of the words I used was “weird” and that I was weird as a result. He laughed at my story and his laughter stung. I began to write more nonfiction, mostly articles for my high school yearbook and newspaper. These pieces took thought and hard work, but unlike my stories, I felt like I didn’t have to put my secret heart into them. I could hide behind the words and no one would make fun of me or the things I wrote about. By college, I had turned my writing toward advertising and marketing, using my creativity to sell the creative work of others. Which wasn’t such a bad thing. It landed me at Vroman’s Bookstore, a large independent in Southern California, where I served as marketing director for about ten years. What a great job! I was surrounded every day by books and authors and artists and readers. One of my responsibilities was to organize author events. I met thousands of writers and learned that most of them have their own fears. Even the most successful worry that readers won’t like their books. Even the most talented sometimes think they aren’t as good at writing as they ought to be. Hearing this gave me courage. While I was at Vroman’s, I also ran a summer writer’s workshop series. Every Saturday a writer, illustrator, or editor would come talk to aspiring writers about writing. Secretly, I took notes. Their talks gave me tools for writing better stories. Finally, when my daughter turned two and I turned 37, I got the guts to try writing fiction again. Having a child brought me back to reading the kinds of books that I most loved, books for kids. As much as I enjoy reading grown-up books, it is kids’ books that grab my heart and make me think and spin my imagination.